Guyssss, this is something I'm really excited to write about and share with all of you, especially if you're a frequent traveler like me! In my 30 years of existence, I finally found the PERFECT credit and debit card (love it so much that I decided to give up my other credit card haha) which offers amazing rewards and also not that complicated to use compared to others! 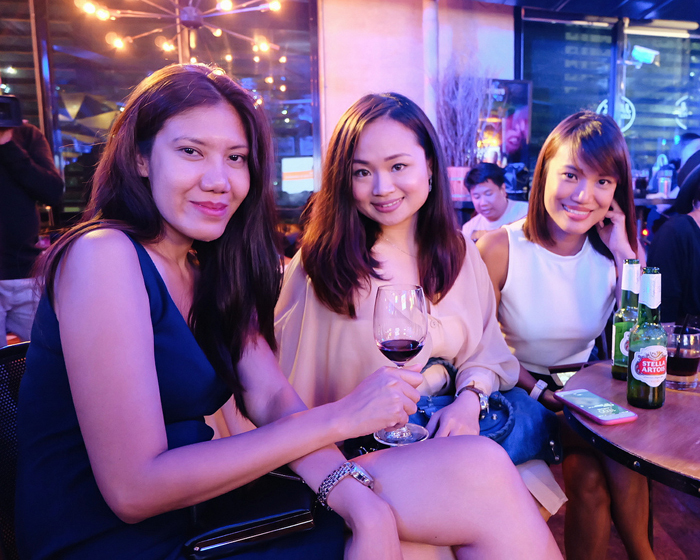 I am so happy I got invited to the launch of Unionbank & Cebu Pacific's newest Get Go cards because I finally found the cards that fits my lifestyle. 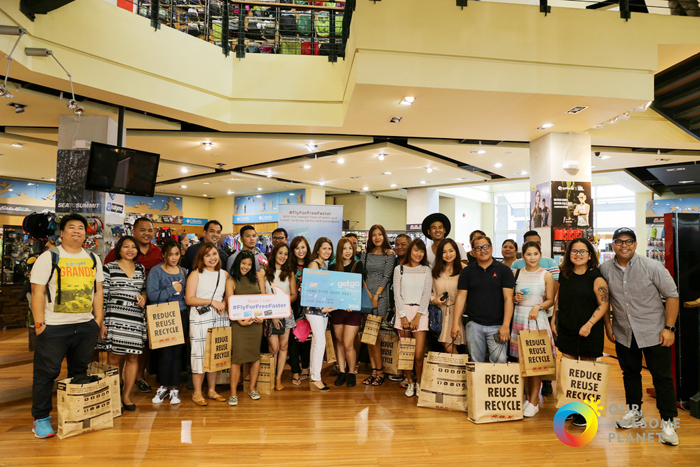 The Unionbank Get Go launch involved a posh staycation, shopping, dinner, drinks, raffle & karaoke party! Excited to experience the good life with my new cards! Are you? Here are photos from one of the best events I ever attended! Meet-up was in Ascott Hotel, BGC. We were then escorted to our assigned rooms. Love our suite! Shared this amazing 3 bedroom suite in Ascott Hotel BGC with Marj and Ruth! Dining area. They left us sandwiches for merienda! Yummm. there's a kitchen and laundry area! Wasn't able to take a photo of Marj's room na because we were in a hurry. We were summoned and transported to R.O.X high street for an ultimate shopping experience & challenge! We were given our own Unionbank Get Go debit cards which we used to shop for travel essentials inside the store. Since we were late, we only had 15 minutes to shop so I was super rushing and got so confused from all the amazing items. I didn't want to impulse buy, so I just bought an Otter Box phone case which I badly needed! I just had my phone fixed the day before because it fell and my screen and LCD broke. So perfect talaga. The Unionbank Get Go team! Sir Allan sharing with us the good news about their new cards! 1. It is perfect for people who does not want to carry cash around but also don't want to get tied to a credit card. 2. Perfect for students or those who are allergic to the word "credit" haha! If you want to control your expenses, then this card is for you. 3. Stylish card design! The blue background is refreshing and the little boats are too cute. 5. It is also a savings account! No maintaining balance. Withdraw cash anytime at any Bancnet ATMs. 6. Best part? For every P88 you spend, you earn 1 GetGo point! You could use these points to redeem free flights. LOVE IT. For the Otter Box case I bought, I earned 20 points! From shopping to bookings to gas to payment of utility bills, points will be converted! 8. Automatic monthly transfer of points to GetGo account. I'm just waiting for my points from May-June purchases to get credited. Excited! 9. It is the first and only debit card in the market that earns GetGo points! So no need to think twice. There's no other debit card that offers such sweet rewards. 10. Aside from the 1 GetGo point you earn for every P88 spent, GetGo will be giving you an additional 1 GetGo point for every PHP5 you spend on Cebu Pacific, as this is one of the perks of being a GetGo member. After our shopping challenge, we were brought back to the hotel and was given an hour to freshen up and get ready for dinner and our night out. ;) We were then taken to Unit 27 bar and cafe for the official launch! With my favorite travel blogger, Kuya Melo! My gf Marj Sia & Hello John at the back hehe! Hello Kuya Azrael & Jeman! I love how all media people who attended were introduced one by one. There was also unlimited food and drinks. The event was super intimate and so much fun! The night was full of surprises. Easily one of the best events we've ever been to! Swear. Prizes were given away all night! We all won! I badly wanted to win the 15,000 GetGo points but malas talaga ako sa raffle. Haha! I won the Braven speaker though! Loved it too. :) Everyone went home with smiles on their faces. Marj won a Samsonite luggage & Ruth won a Fitbit watch! My prize. It's kinda heavy and huge ha! Braven speakers perfect for traveling. In between the raffle was quiz night! There were 3 categories and the team who answers the most number of questions correctly, wins. Our team won!!! Woots! We each won 1,000 GetGo points. Yipeee. As if all the fun is not enough, we were surprised by the Unionbank and Get Go team with our very own Platinum Card!!! Gaaaah! Ang perfect coz when Ms. Ana Delgado asked me what card design is my fave, I said the black one! Yey! With our very own Unionbank Get Go platinum credit cards! Why did I ditch my old card and decided to keep my new Unionbank Get Go Platinum credit card? 1. I just love the sleek design! 2. You earn 1 GetGo point for every P30 spend! That's more points compared to their debit card. Bongga! 3. Automatic monthly transfer of points to GetGo account. I had mine linked to my existing GetGo account! They linked it when I had the card activated. So any purhase or booking done will be automatically converted to points. I used it agad to book flights to Japan worth P46,000 and I earned 1,533 points! It will be credited first week of July. So any moment now. Excited to use and redeem it! 4. Worldwide VISA acceptance. So you could use it here and abroad. 5. Priority Check-In on Cebu Pacific Flights. 6. Free 5kg extra baggage allowance on Cebu Pacific Flights. Huge help! 7. Complimentary access to the Skyview Lounge at NAIA Terminal 3 and MIASCOR lounge at Davao International Airport. 8. Early alerts to ALL Cebu Pacific seat sales plus exclusive sales. 9. Complimentary Comprehensive Travel Insurance of up to 10M. Wow! 10. VISA platinum rewards & privileges including: Visa Concierge, 24-hour services like flight reservations & restaurant recommendations, Global Customer Assistance, Amazing discounts, Access to ATM cash withdrawal. 11. Aside from the 1 GetGo point you earn for every P30 spent, GetGo will be giving you an additional 1 GetGo point for every PHP5 you spend on Cebu Pacific, as this is one of the perks of being a GetGo member. It's the yellow card in the middle! What transactions are qualified to earn GetGo points? All VISA POS transactions, whether via POS and online are included in the computation of GetGo points. Fees and charges such as annual fees, interest charges and the like, cash advances, and purchases for business transactions are not included in the computation and cannot earn GetGo points. Special guest that night was Bogart the Explorer! After the raffle and program, time for karaoke! Hello John! Hehe. We all sang in fairness! Marj and I performed Torn hihi. Even all the bosses performed. Saya! with my suite mates Ruth and Marj! Cheers to one of the best nights ever! I am now a happy traveler with my debit and credit Unionbank GetGo cards! Can't wait to have my own GetGo Visa card! Claim free satoshis from Moon Bitcoin. 163 sat. every 1 hour. Claim free satoshis over at Easy Bitcoin. 11 to 33 satoshis per 10 minutes. Great! Can we use it to verify PayPal or transfer money from PayPal to GetGo visa card? If you read the entire blog, you would know the answer.